The highest selling personal computer, ever. It had the right price at the right time. At the time, there were several personal computer manufacturers and it was anyone's guess which platform might become prevalent. IBM seemed to be holding the business sector, against the likes of the DEC Pro series. There were many companies vying for the home market: amond them, Texas Instruments, Atari and Coleco. 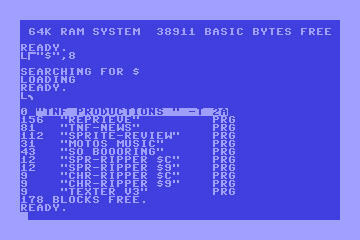 None gained the following of the Commodore 64. Its name came from it having 64k of memory. That's "k" as in kilobytes. Think about that for a moment. Less RAM than a just about anything today. It was based on the MOS 6510, an 8-bit CPU clocked at 1.02MHz. While capable of impressive graphics for the era, the screen displayed 40x24 characters.